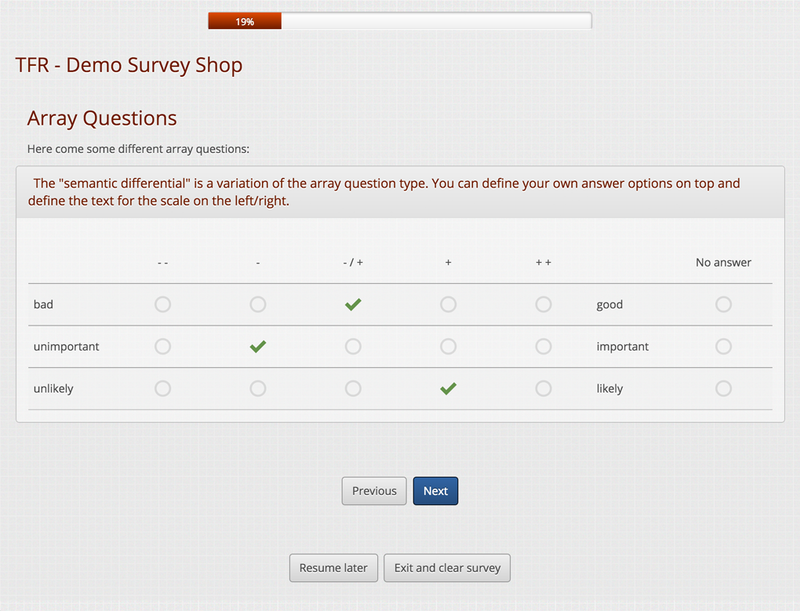 While you can easily remove the “Resume later” button from your Limesurvey template by de-activating the “Participant may save and resume later?” feature at “General Settings” -> “Notification & data management” of your survey, removing the “Exit and clear survey” button isn’t possible this way. So what to do? 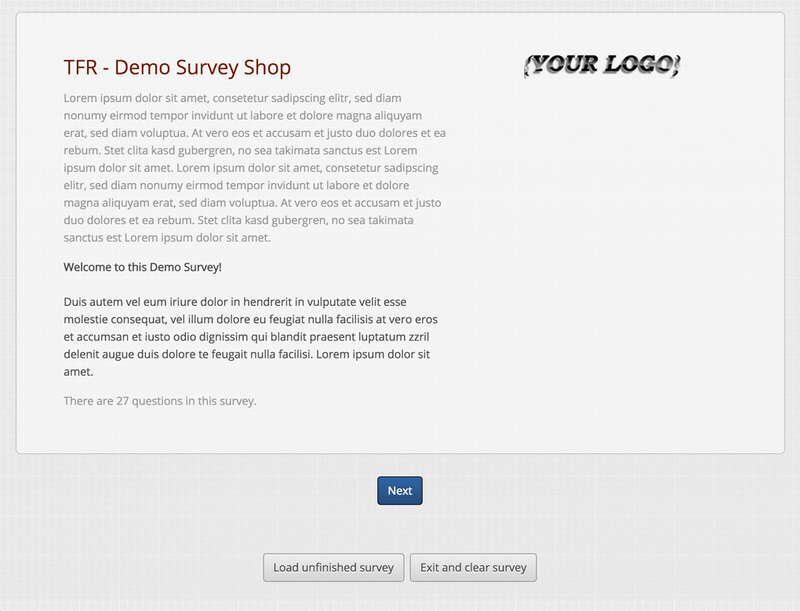 The solution we recommend to use is to just remove the button placeholder from the template code. While hiding the button using CSS can cause side-effects and users can still use it when setting the browser to display hidden elements, simply removing the code from the template also does the trick. 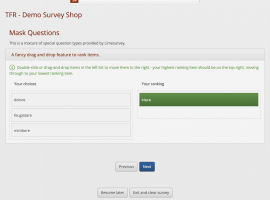 To do so go to the Limesurvey template editor and at the “Standard files” section select the “navigator.pstpl” file. 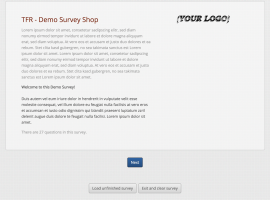 That’s where we have placed the related code for all templates from our shop. 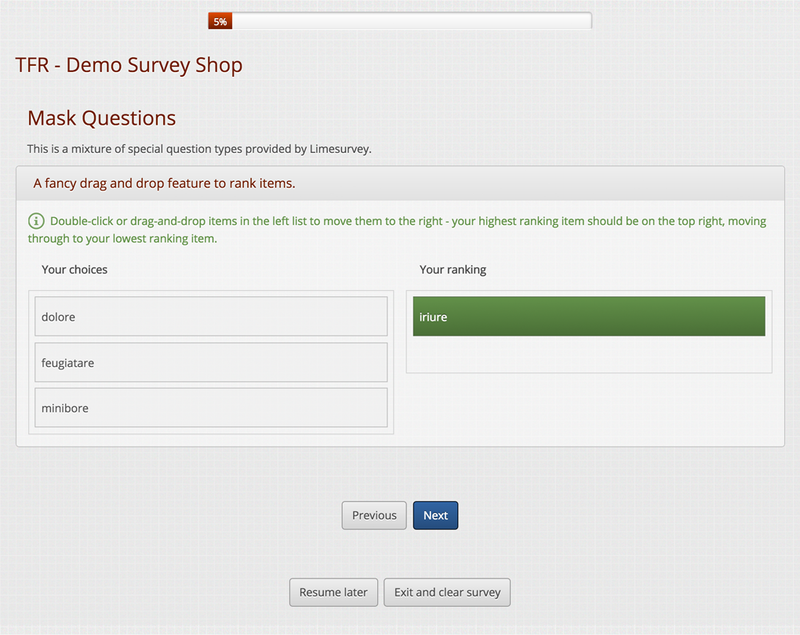 If the above doesn’t work for you and you need further help with adjusting your Limesurvey template just drop us a note. 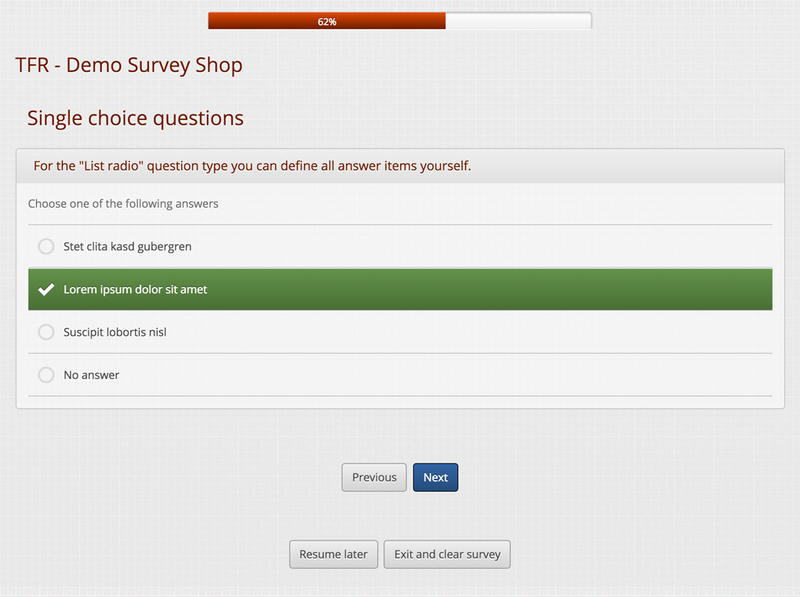 Once you have turned off the filter you can add your terms and conditions to your survey’s welcome text. Click the edit icon and select “Edit text elements”. Add your text at the “Welcome message” text box. 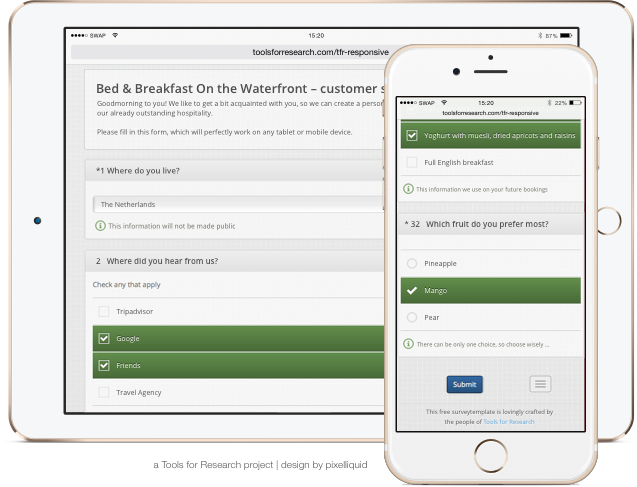 When a user calls your survey, he will at first be presented the welcome text holding the terms and conditions. 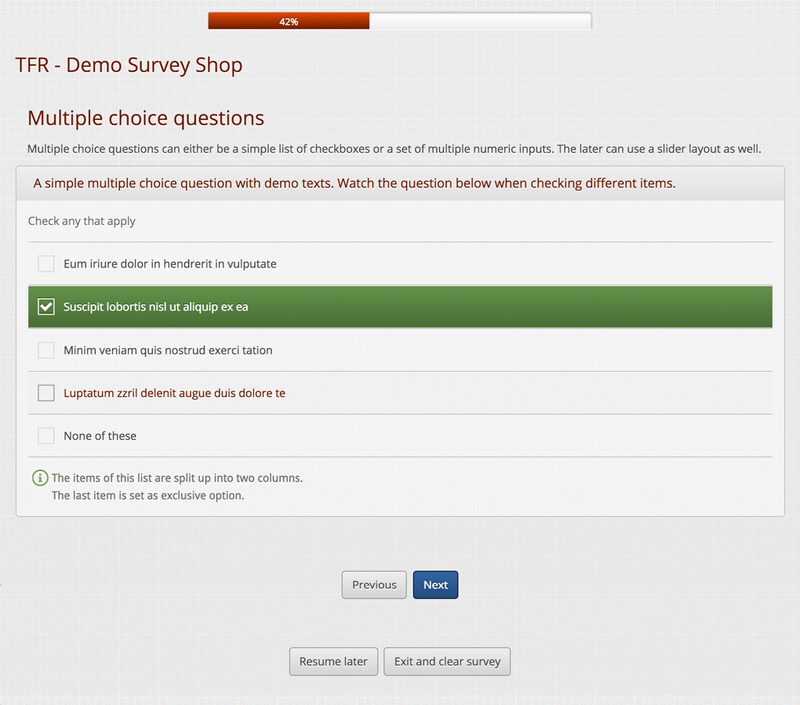 There will also be a “next” button to start the survey and on option to “Exit and clear survey”. So instead of re-inventing the wheel, we simply rename these buttons for the welcome page only. Of course, you can change the “I agree!” / “I do NOT agree!” texts if you wish. You don’t need to disable the internal Limesurvey XSS filter if you add the code directly at the template.js file. You can add your code ot the existing $(document).ready(function()). It is very easy to update/modify. The file is loaded at every page call, so it might cause some overhead if you only need the script for a certain survey question(s). Global settings -> Security -> “Filter HTML for XSS” = “No”. The code will only be loaded once (for the affected group/question). You can easily have several similar code snippets and just change some IDs in the code without having any overhead. Limesurvey placeholders and Expression Manager tags are parsed. You have to disable the internal XSS filter for which requires admin access to the Limesurvey installation. The code will be split over several questions and gets harder to maintain if you add many different script snippets.